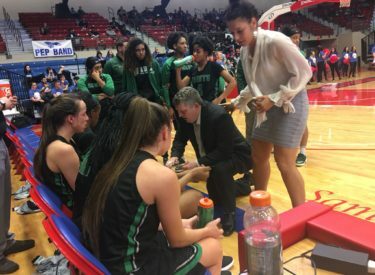 Due to a scheduling conflict, the Seward County Community College women’s basketball team’s game has been moved from Tuesday night to Wednesday afternoon. The Lady Saints will play their opening round game at noon on Wednesday. KSCB’s pregame coverage begins at 11:45 on 107.5 and kscbnews.net. The 30-3 Lady Saints will play the winner of South Plains and Harford. Seward was scheduled to play at 8 p.m. on Tuesday.